I like movies. I’m not too picky about them, as long as its Science Fiction, Fantasy, Action, or a Western. I can appreciate other genres if they are really well done. I used to teach high school, therefore, I find horror movies boring. I will watch anything by Quentin Tarantino. I dig his movies, but they always make me hungry. My guess is my blood sugar drops after three or more hours in a theater. And the characters are always eating. 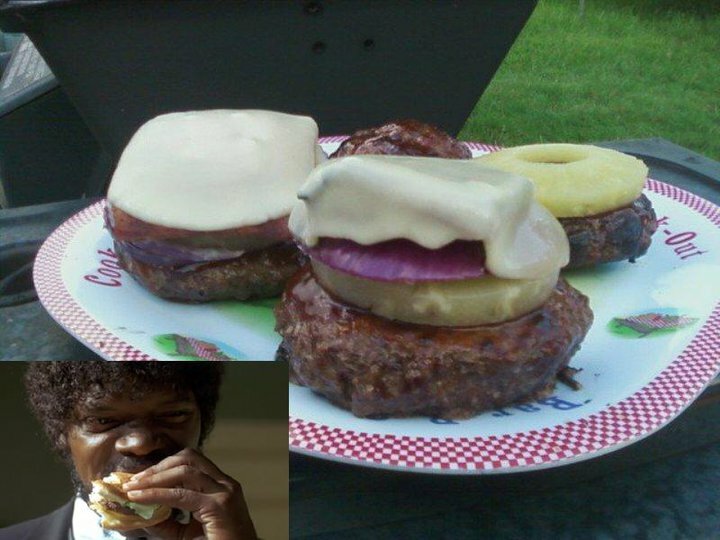 I used my first Tarantino film, “Pulp Fiction,” and the hunger it induced, to inspire one of my favorite grill creations: The Big Kahuna Burger. Dipping the pineapple rings in sugar before grilling will give you some nice caramelization. Use a skewer to grill the onion slices to prevent the rings from separating. Hamburgers – The breakfast of champions! Grill the Spam slices, pineapple rings, and onion slices and set aside. Hit them with some BBQ sauce during grilling if you like. 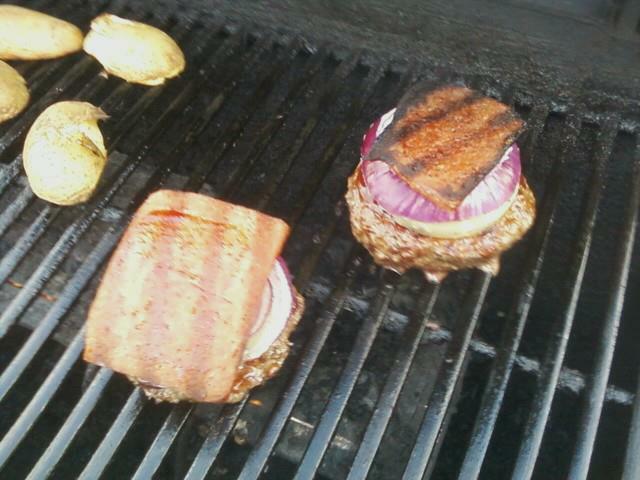 Grill the burgers to your liking. After flipping, slather on some BBQ sauce. Top the burger with a pineapple ring, an onion slice, and a slice of grilled Spam. Top with a slice or two of provolone. Close the grill and let the provolone melt for a few seconds. 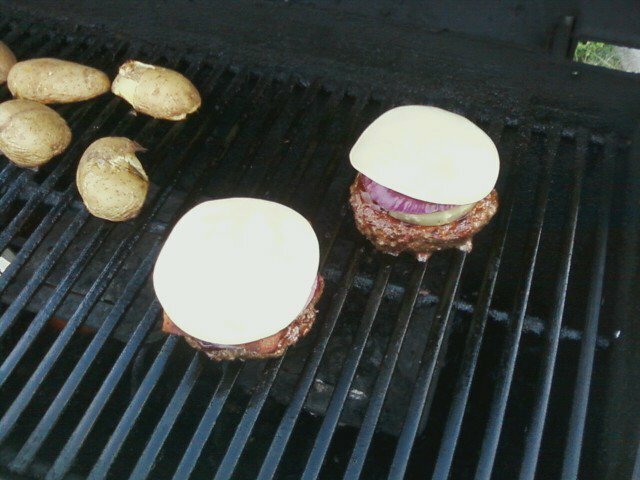 Remove to a platter and let the burgers rest before placing on buns and serving. The provolone not only tastes great, it serves the structural purpose of holding the whole thing together. Rather than running like other cheeses, provolone shrink wraps itself around the burger and toppings. I’m thinking two slices would work better. Who doesn’t enjoy a tasty burger?